Glaucoma is a term used to refer to a group of eye diseases that ultimately cause damage to the optic nerve. Unfortunately, there is no cure for glaucoma; but there are treatments available to help manage the condition and prevent vision loss. 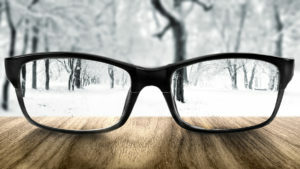 People with glaucoma often experience slow and gradual vision loss that is so subtle, it is virtually undetectable until it reaches advanced stages. Glaucoma often presents no other symptoms than vision loss, which is why it is important to visit a New Optix Optometry eye doctor annually for comprehensive eye exams. As the disease progresses, it can cause eye pain and nausea, as well as total vision loss. Should I see New Optix Optometry about glaucoma testing? Your New Optix Optometry eye doctor will perform a routine glaucoma screening at your periodic eye exams. However, you should see the optometrist if you notice changes in your vision, such as blurring or halos when you look at lights. There are several tests available to test for glaucoma, including intraocular pressure testing and visual field testing. These screenings are painless, but could make it possible to diagnose and treat glaucoma in its earliest stages. Treatment for glaucoma depends on the severity of the disease. If your New Optix Optometry eye doctor diagnoses you with the disease, you may begin with a conservative treatment regimen of medicated eye drops or medications that help reduce pressure in your eye. If these types of treatments are ineffective, your New Optix Optometry eye doctor may recommend a more aggressive treatment plan that includes a surgery to relieve excess fluids from the eye.